Dermal fillers are injectable materials that are introduced into the skin in order to plump it up and reduce the signs of aging. The fillers can be substances like collagen, hyaluronic acid and fat which can be from natural sources or synthetically manufactured. You would perhaps be more familiar with the brand names of fillers like Juvederm, Restylane and Voluma. We tell you here all about cosmetic dermal fillers. Cosmetic Dermal fillers are injected into the folds or wrinkles in the skin. They fill the fold and instantly increase the volume of the skin to make the skin feel firmer and plumper. They start showing results in as less as half an hour after injections, giving you younger looking skin. The fillers last in the body for 4-8 months after which they get metabolized. Dermal fillers manufactured by FDA approved brands and injected by a qualified doctor are completely safe to use. 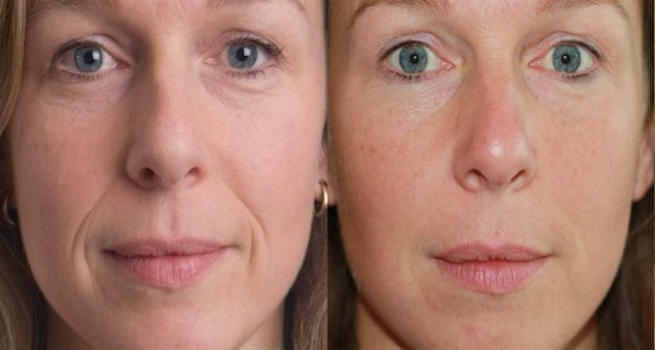 What are the different kinds of dermal fillers available? Hyaluronic Acid – Hyaluronic acid is a naturally occurring substance in the human body that is present in the cartilage and neural tissues. The filler mimics the natural hyaluronic acid and plumps up the skin by absorbing moisture many times its weight. The filler easily lasts for 4-6 months. You can read more about hyaluronic acid here. Collagen – This is one of the earliest dermal fillers to be used. Synthetic collagen is the most natural looking wrinkle filler but it does not last as long as other fillers. Fat – Fat fillers are made with your own fat derived from a part of your body. The procedure is called fat transfer. The surgeon will overfill the wrinkle since some of the fat will be metabolized by the body too. The cost of dermal fillers vary depending on the type of filler you choose, the extent of wrinkles in your face and the number of injections that you would need. 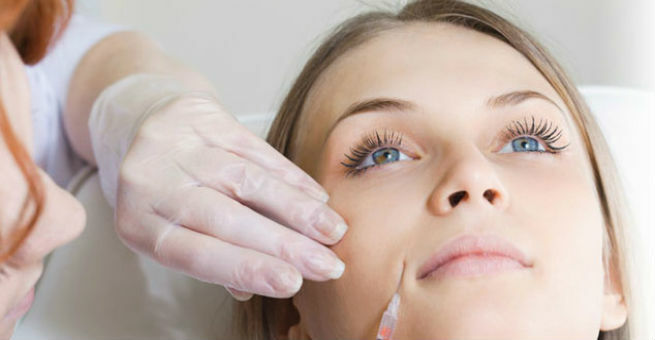 Hyaluronic acid fillers can cost you less than $1000 for a sitting and will last about 4-6 months. Collagen fillers are also fairly cheap, costing no more than $800. They are also among the few fillers that are safe to be used around the eyes. Fat transfer is a more expensive process since it also accompanies liposuction to graft fat cells. A fat transfer procedure can run to a couple of thousand dollars. However, they are the safest among all the procedures since you are using your own body fat and chances of a reaction or infection are not there. Dermal fillers are a cost effective way of combating the signs of aging on your skin. Rather than investing hundreds of dollars on anti-aging creams and serums that may or may not show effect, you can go in for the fillers which will provide instant youthfulness. The results last a good 4-8 months depending on the kind of fillers you choose. There is no downtime since it is not a surgical process. You can experience bruising or numbness at the site where the fillers are injected into the skin. If your doctor uses FDA approved fillers, then the chances of infection or allergies are almost none. Make sure you go to a reputed doctor to get the shots. In some cases, the fillers can get clumped in the skin and can be seen through the skin. There are chances that you can be unsatisfied with the outcome. However, since the filler itself is temporary, it should not cause any lasting damage. Cosmetic dermal fillers are a great option if you want to combat the signs of aging on your face with a remedy that is both safe and effective.